Day 58: 1,000mi and Twin Lakes! I’m writing this entry as I sit in a lodge lobby at 10:30pm and I’m wiped out, so I’ll do my best, but may be less wordy than usual. Rockin’ and I got hiking by 6:20am this morning and it was a damp COLD outside and was barely 30 degrees. We were excited because we were still in the Collegiate Wilderness and it was a town day as we were 15mi away from Twin Lakes. Less than 2mi after we started, I hit my 1,000mi mark! We were on a road and made a 1,000 out of nearby sticks to celebrate. Yay! Then we had one heck of a pass to get over. It was called Hope Pass and went up about 2,500ft in 3mi to top out at 12, 548ft. 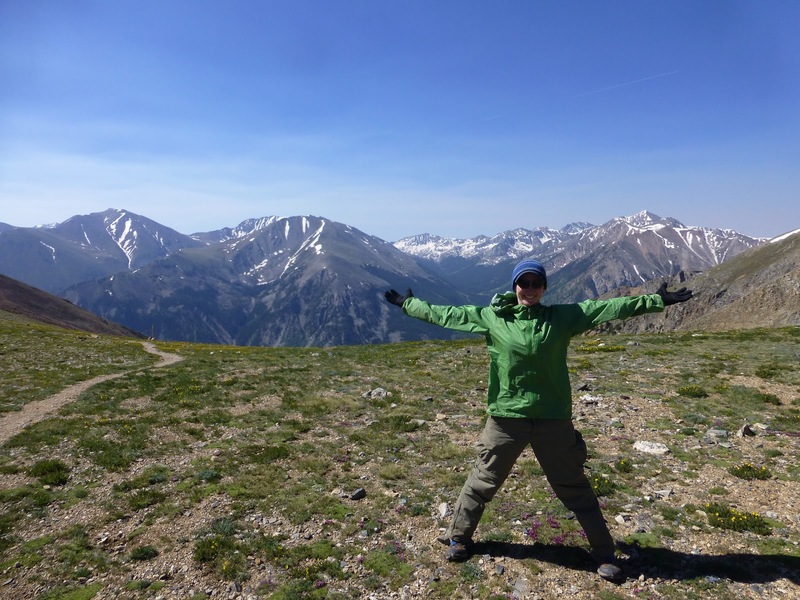 Again, more good training for Mt Elbert tomorrow which will be at 14,443ft. It was STEEP! 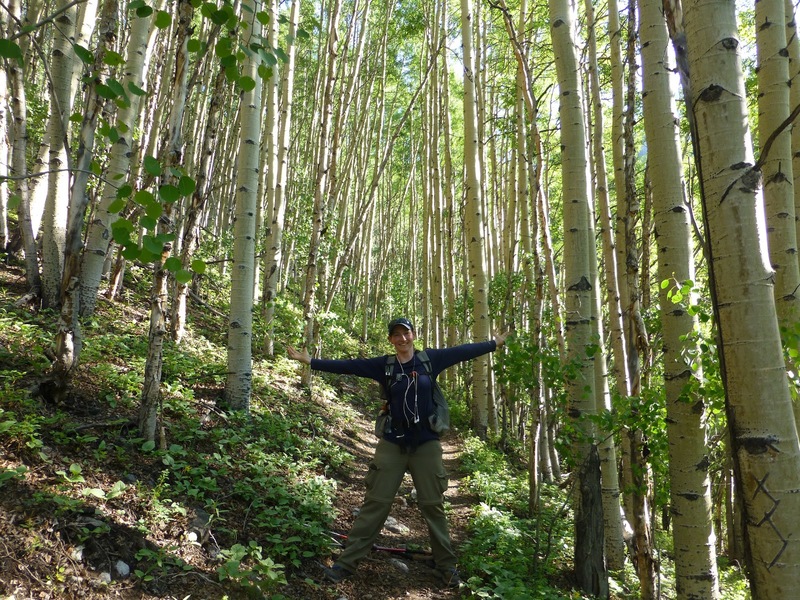 We were so happy we were doing the climb in the cool morning on fresh legs and it was even better because it started with a climb through aspen! Even though it was steep, Rockin’ and I really enjoyed it and took it in. The view of the Collegiate Wilderness on the way up was just EPIC. I also got a shot at the top and it was really windy! After the pass, we basically had a steep downhill that went down almost 3,000ft. It was fun to cruise down after that climb. We came by a bridge with a great stream running under it and had a wonderful lunch on the bridge. 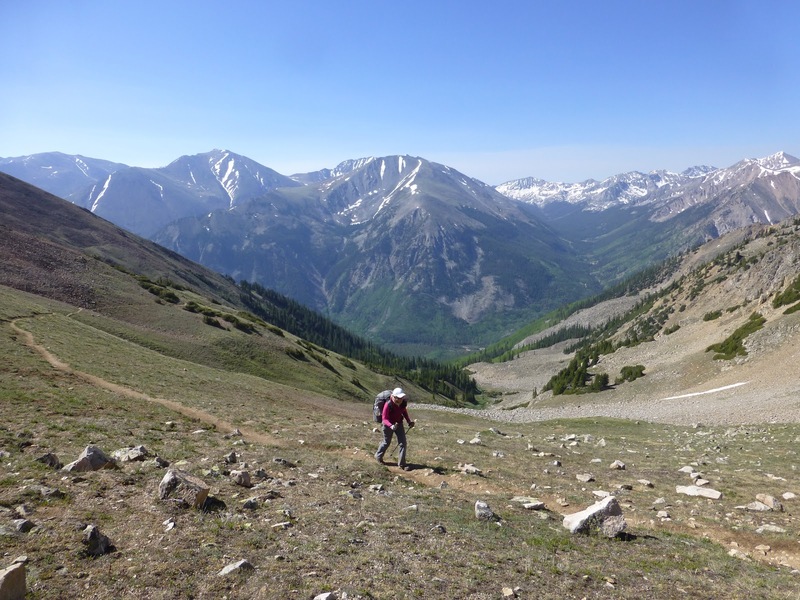 The final leg to Twin Lakes was another alternate similar to the one I mentioned yesterday. Here is the map and I’ll explain it. 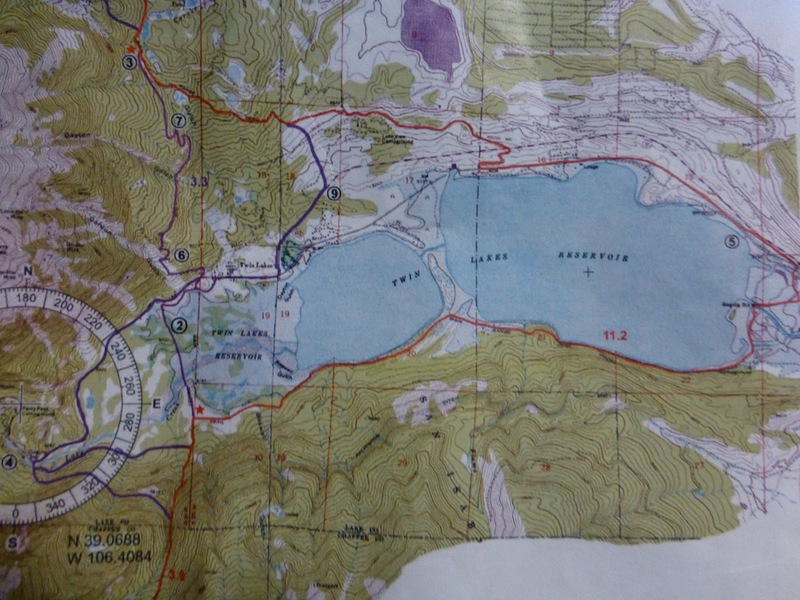 You’ll notice the official trail in red goes around the reservoir and that there is a way to save over 10mi, by just going straight to Twin Lakes. 99% of hikers take one of the purple alternates suggested. The #2 alternate is the most direct, but requires a swift crossing. LoveNote and the crew went through this morning and I talked to her at the top of the pass over the phone. 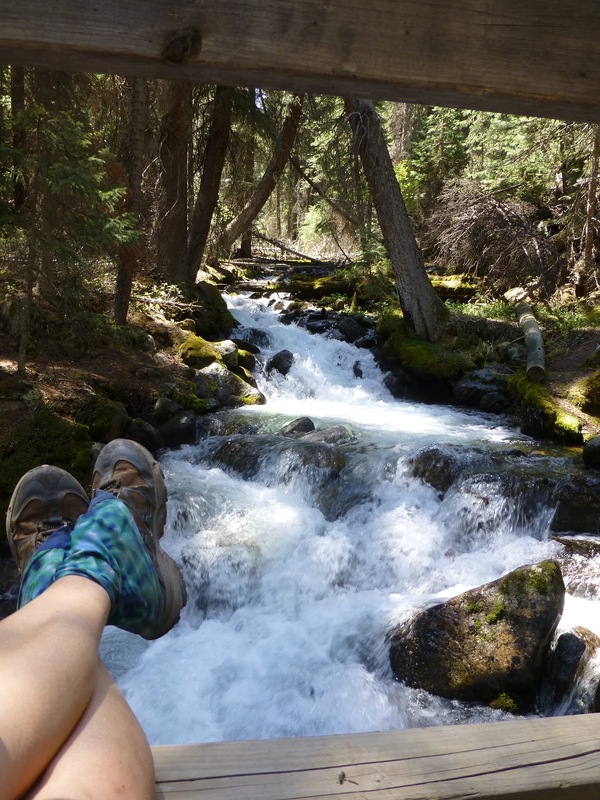 It is normally not suggested for northbounders to go with #2 because of the high runoff in the spring. Of course all of us couldn’t resist the challenge and we took the difficult ford. I so wish I had a picture of what we did. It was stupid and I almost went swimming unintentionally in some very cold water. The crossing was wide and swift and in the middle I hit a section that was high thigh on me and almost knocked me over. So stupid! I think the PCT 2011 mentality came out in most of us and we were too stubborn to go the long way around to option #4. Good news is that we didn’t get swept up and the camera dried after getting a little wet as it was in my hip belt and the water actually got that high on me. You will notice the purple goes up further north and that is the alternate to Mt Elbert we will take tomorrow. Good news is that Silly Chili (Rockin’s son) got to town today too and we are all hiking out together tomorrow. Plus, the rest of the crew plans to also leave tomorrow morning(they are in Leadville tonight with a friend of Sweetfish) to do Mt Elbert. It will be fun to see them tomorrow for a bit as they will probably pass us by. Also, across the street from the motel, we could see the fire that started from lightning last night. 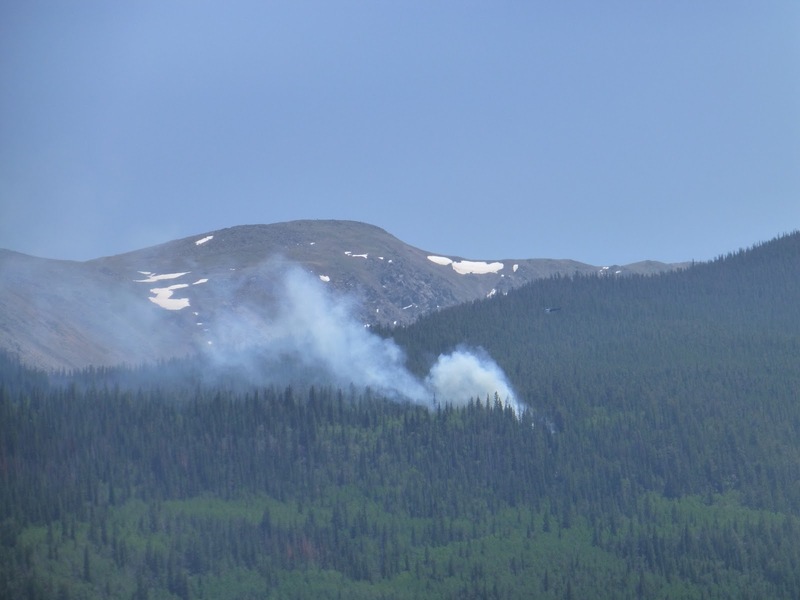 We got to watch as a helicopter scoped water from the reservoir and poured it in the fire. It was very interesting to watch and they successfully got it out. The helicopter is just to the right above the smoke. Tonight, the three of us are in a house behind the Twin Lakes motel that they are using as a makeshift hostel for hikers at the moment. It was wonderful with laundry, showers, a full kitchen, and we made spaghetti and got to each have our own room. We did the stressful resupply boxes too. 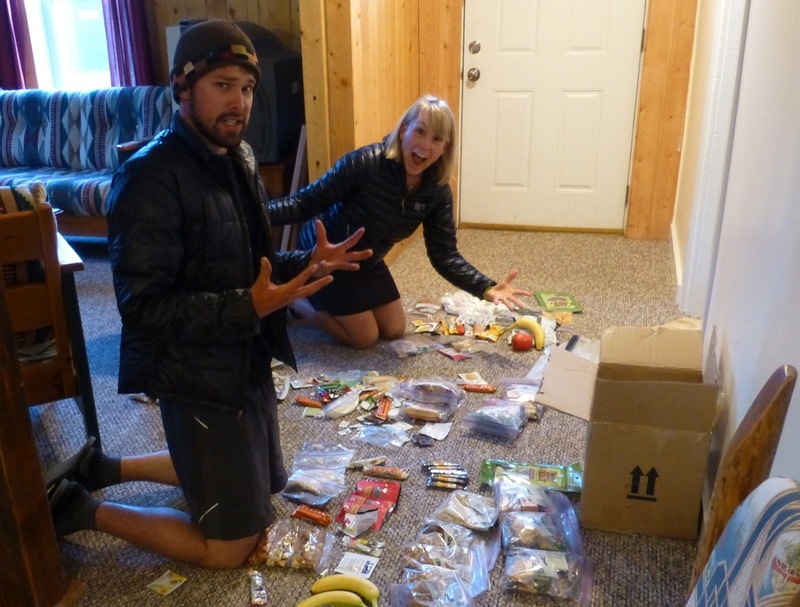 Here are Rockin’ and Silly Chili doing their resupply. 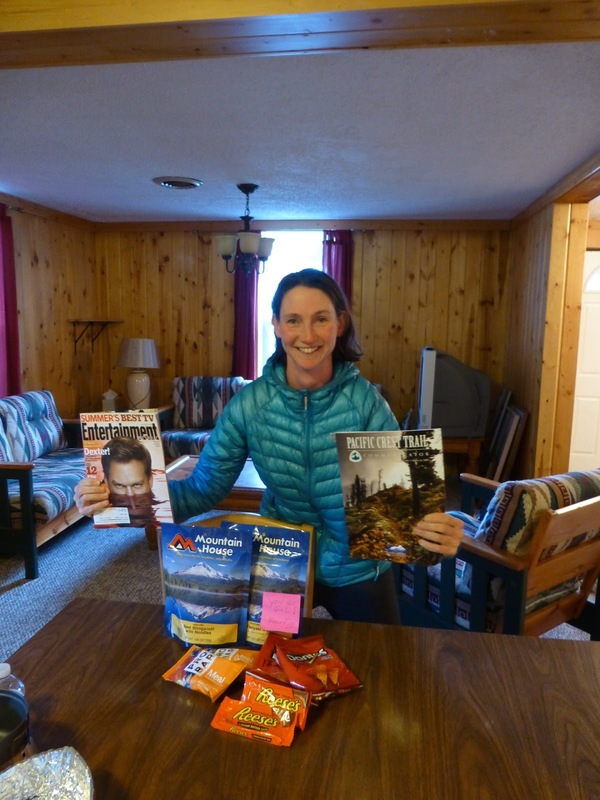 I did mine too and want to thank Heart for the Mountain House dinners, Katy for the Doritos I’m now hooked on at lunch, Edie & George for the Reese’s I’ve been eating before climbs, and Janet who is the first to send me the ProBars I have on my care package wish list. I’m really excited about those! You’ll see I also got my EW magazine and the latest PCT Communicator. Love it! 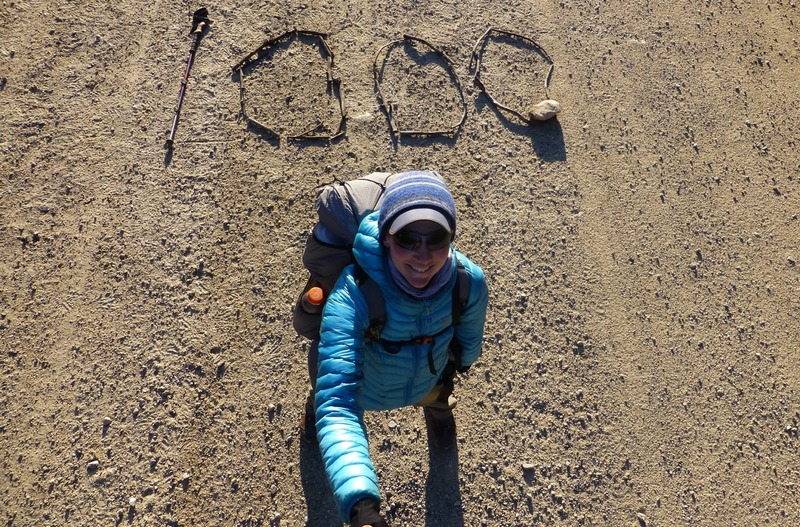 Okay, off to bed and dreaming of the big summit tomorrow! Life is definitely good! Oh, and again, sorry I’m behind on replying to emails/comments. I wish there was more time in the day! Hoping to get better signal as I move north.